Joe Dante’s Gremlins has a strange significance at this year’s Asian American International Film Festival. Two docu-shorts profile actors who worked on the film. In a way, Keye Luke and Jane Chung represent opposite sides of the same coin. Both did their best to navigate the studio system at a time when Hollywood was not particularly hospitable to Asian American talent. While Chung worked steadily but anonymously in small roles, Luke became famous as Kato and Charlie Chan’s Number One Son. 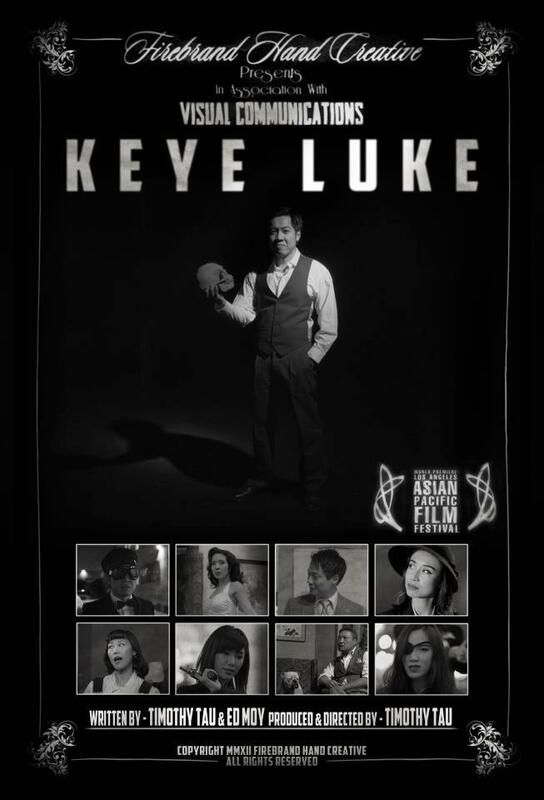 Timothy Tau allows Luke to speak for himself in his short docudrama, Keye Luke (trailer here), which screens as part of the Into the Penumbra short film program at the 2013 AAIFF. Reflecting on his life, Luke addresses the audience in a manner akin to a stage play. As he reminisces, we see episodes of his life, starting with his early home life, progressing through the double-edged Charlie Chan films, his continuing sidekick gigging as Kato to the Green Hornet, finally reaching his first starring role in the final Mr. Wong film. Mixing irony and realism, distinctly Anglo actors portray Warner Oland and Sidney Toler, the Swede and the Scot who portrayed Charlie Chan. However, Tau does not hate on the Honolulu detective, acknowledging the franchise represented an opportunity for Asian actors like Luke and his older brother Edwin, albeit a flawed one. Essentially, Tau argues Luke did what he could with what the system would give him, eventually becoming a widely respected and recognized character actor, whose credits include quality films like Woody Allen’s Alice. It is quite a reasonable, pragmatic perspective, under-pinning a film that revels in the goofy idiosyncrasies of 1940’s b-movies and serials (the Secret Agent X-9 scene is particularly inspired). Keye Luke also boasts a surprisingly big name cast by short film standards, including ER’s Archie Kao and Bang Bang’s Jessika Van, who all clearly enjoy the retro tribute to the late great Luke. Fame always eluded filmmaker Sami Chan’s great aunt Jane Chung, but she still enjoyed the business according to those who speak fondly of her in More Than a Face in the Crowd, also screening as part of the Penumbra block. Chung had walk-on or small speaking parts on probably more films and television shows than Michael Caine, but finding her in the frame is usually a challenge. Supposedly, she had a shouting match with Ricky Ricardo, but her family can never find it during their I Love Lucy marathons. Again, Chan describes how Chung made lemonade out of lemons, finding extra work much more entertaining and rewarding than the sort of part time jobs available to most homemakers in the 1960’s. With credits that include Chinatown, Funny Girl, Flower Drum Song, and When Harry Met Sally, she was a small part of many cinematic milestones. Although still alive during the production of Crowd, the circumstances of old age prevented her from participating. 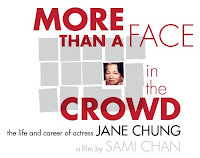 It is too bad she could not enjoy a taste of wider recognition during her lifetime, but Chan’s short doc is a fitting tribute that also covers some under-examined cinema history with economy and authority. Clocking in just under half an hour, Crowd would be an appropriate programming choice for PBS sometime down the road. For now, it is quite a shrewd selection for AAIFF, especially considering the way it speaks in dialogue with Tau’s Keye Luke. 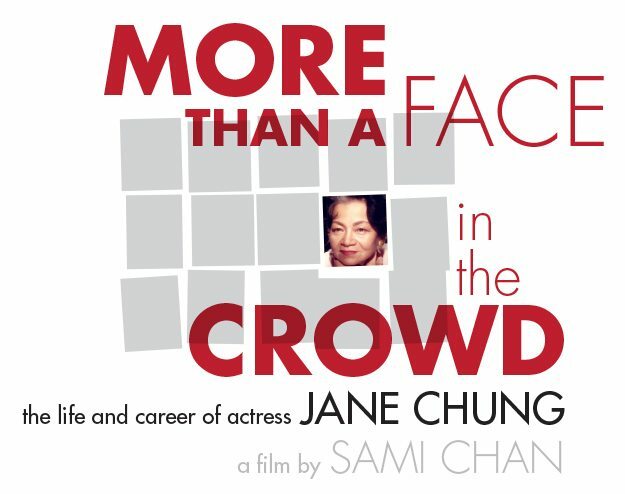 Recommended for movie lovers, More Than a Face in the Crowd and Keye Luke screen this Thursday (7/25) at the Anthology Film Archives during the 2013 AAIFF.